Introduction: Will you beat our 2015 record of 147 cm? 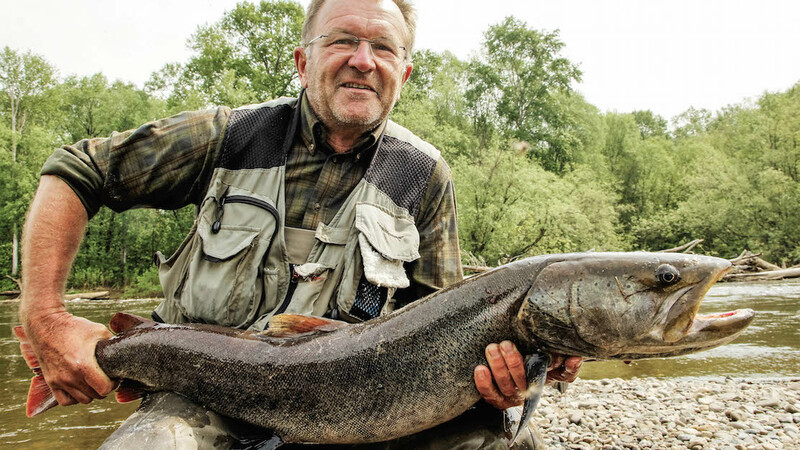 I was literally speechless, when I saw that fish … Note that we were a bit early in 2015 due to late spring and that this fish was not yet in prime condition (‘only’ 26 kg), otherwise he would have easily exceeded 30 kg in weight. If you are now thinking this place got to be in Mongolia, you are mistaken. 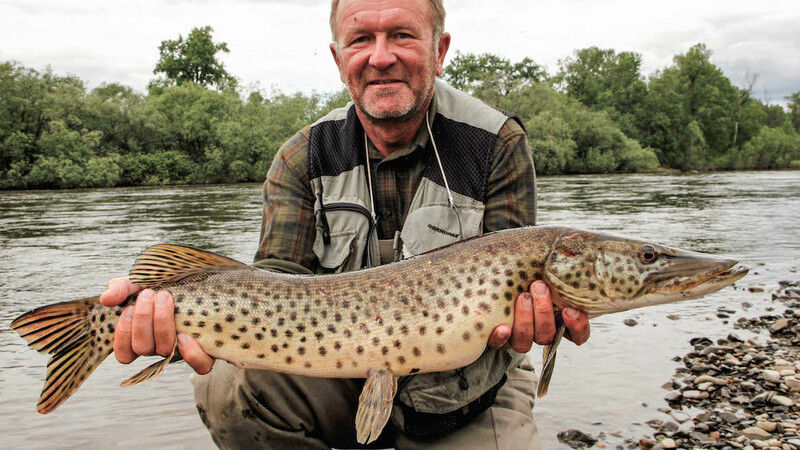 This spectacular fishery is situated significantly further to the north-east. 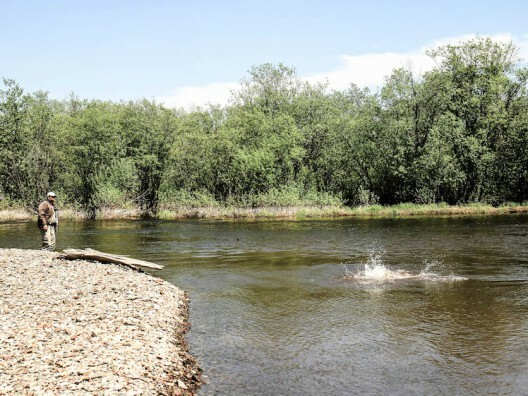 It is located in the territory of Khabarovsk, in Russia; for the good reason. 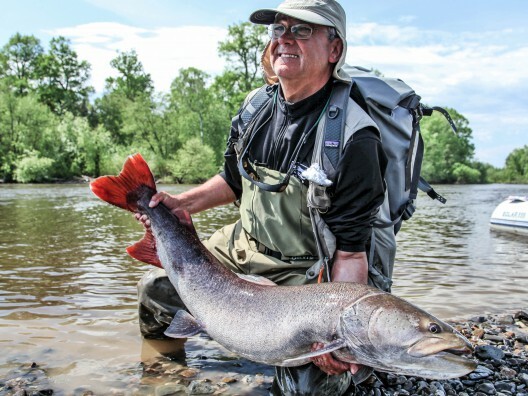 The annual runs of Pacific Salmon in this river provide the Siberian Taimen with a source of nourishment that they lack in Mongolian rivers or more centrally located rivers in Russia. 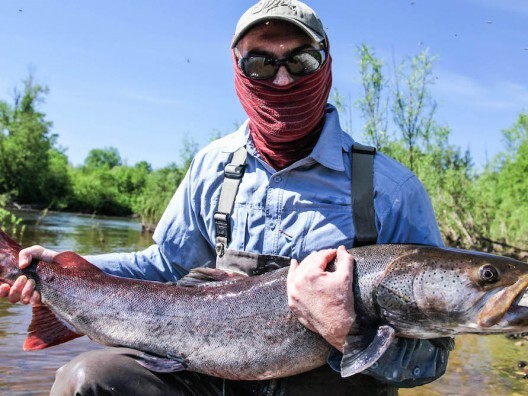 As a result, Siberian Taimen are more abundant here and do grow larger – with a bit of luck fish about 30 kg are possible. 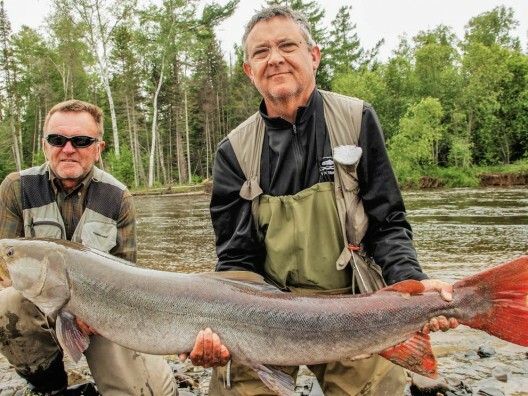 The River And The Fish: We visited the river two times in 2015. First in the beginning of June and then again in October. 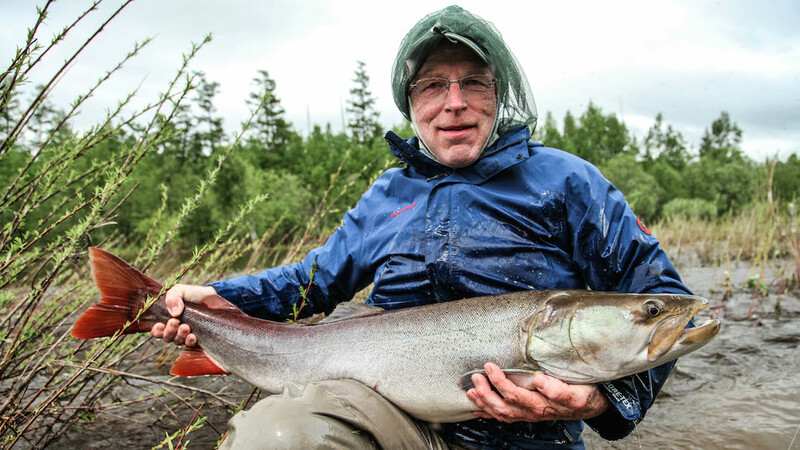 Both times, surprisingly enough, we had to deal with untypical conditions of high water. However, considering what we caught under these suboptimal conditions, makes my stomach drop when I imagine what can await us in good conditions. So, what did we catch on these two trips? 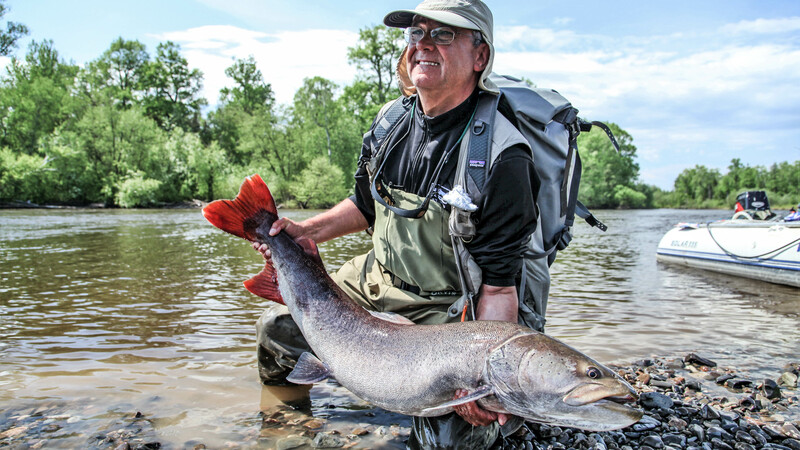 Every angler caught at least one Siberian Taimen over 115 cm. 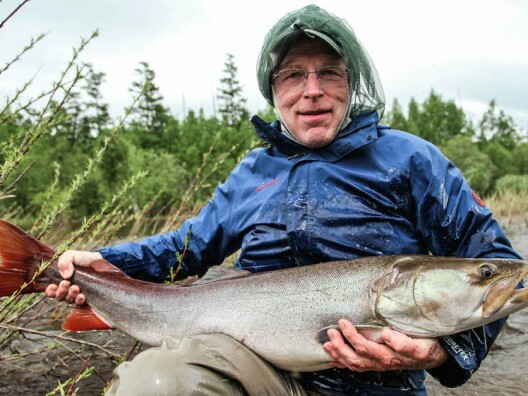 The largest fish measured 147 cm, the second largest 138, then 132, 128, 127, 126, 123, 117, 115 and on it goes. 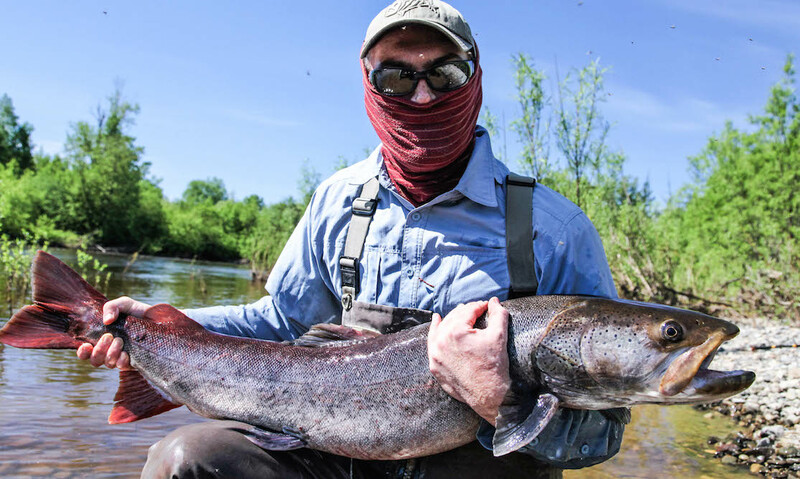 In total eight people caught in these two tours around 100 Siberian Taimen. 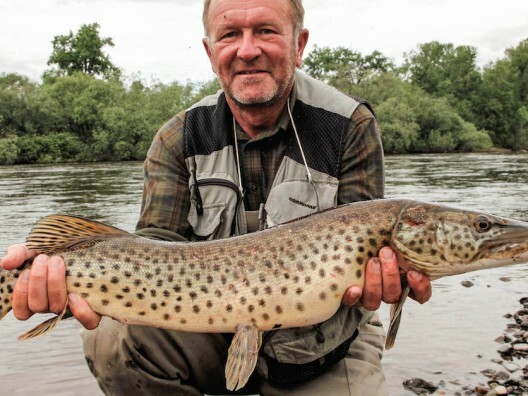 Furthermore, the river also holds Amur pike of impressive sizes – we unfortunately lost those that promised to exceed 100 cm in length, Grayling and two species of Lenok. 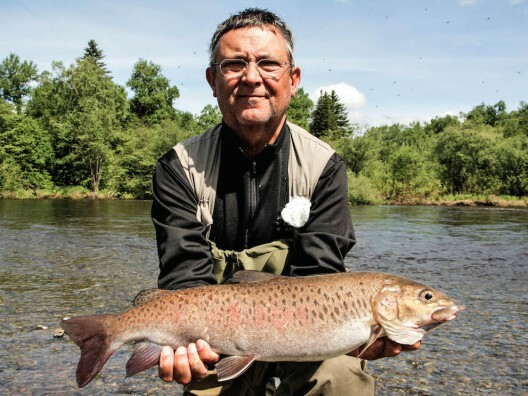 Logistics: Of course as you would expect of a river that has managed to maintain such a large population of trophy Siberian Taimen, there is no lodge at the river and the logistics, assuming that you don’t want to spend outrageous amounts of money on a helicopter, are rather challenging. 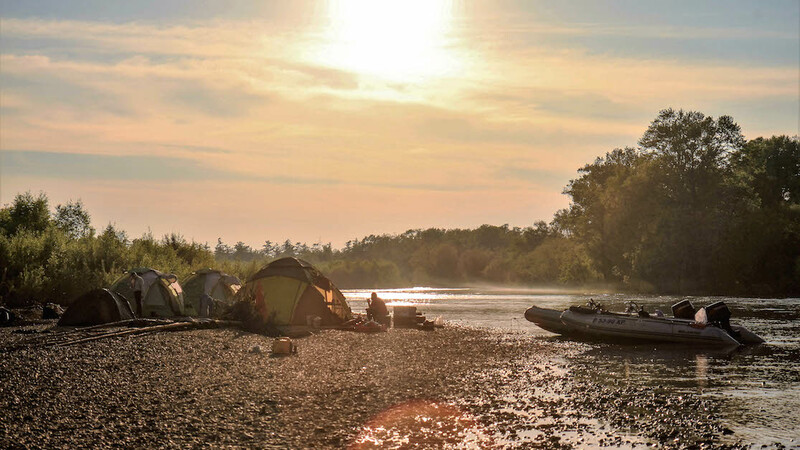 However, not only is the destination great, but with Artur and Andrei you will have some of Russia’s finest fishing guides and expedition cooks at your side. 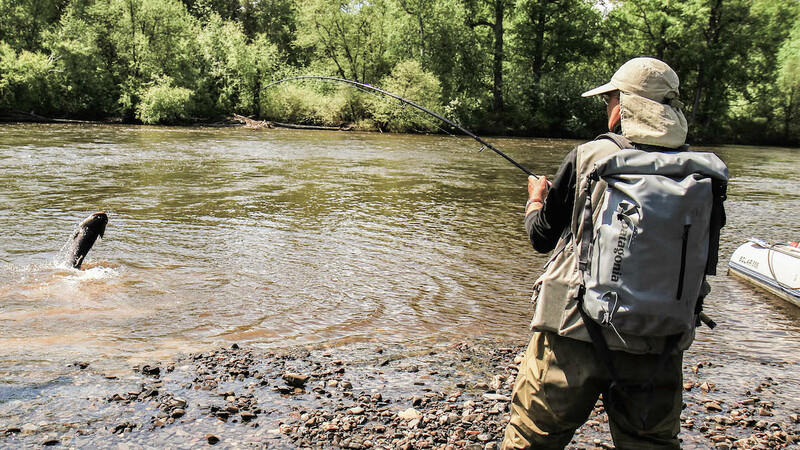 They know the river better than anyone else and the equipment they use is first rate. We are planning several trips in 2016. We will fly from Moscow to Khabarovsk and from there we will reach the river via car and boat. 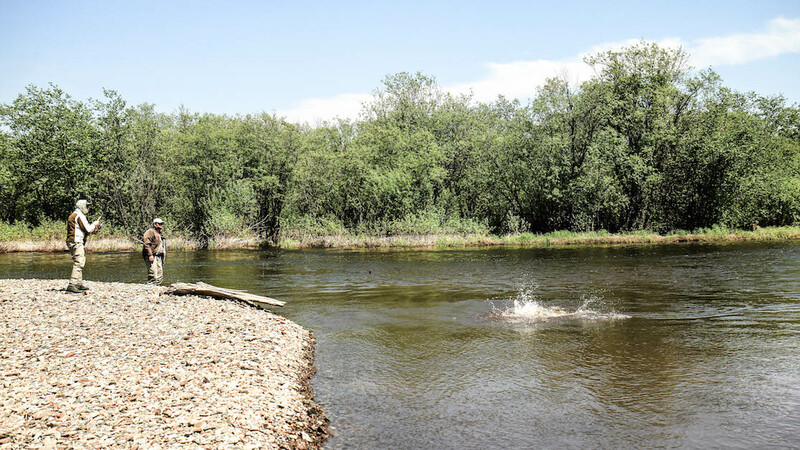 The whole journey from and back to Khabarovsk will last nine days, of which we will spent 7 full days at the river. 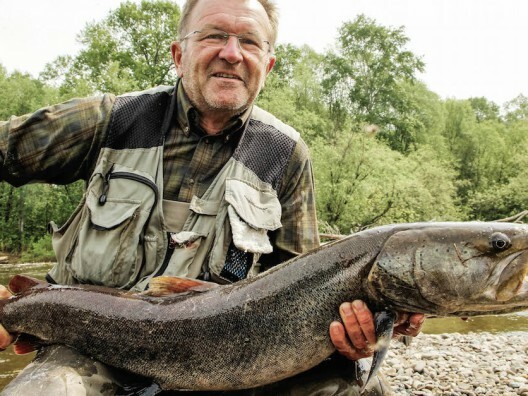 In addition, if there is interest, there is also the opportunity to add another destination to the tour and fish the great Amur river for such crazy species as Snakehead, Chinese Bass, Yellow Check, Skyegazer, Amur Catfish, Amur pike etc. 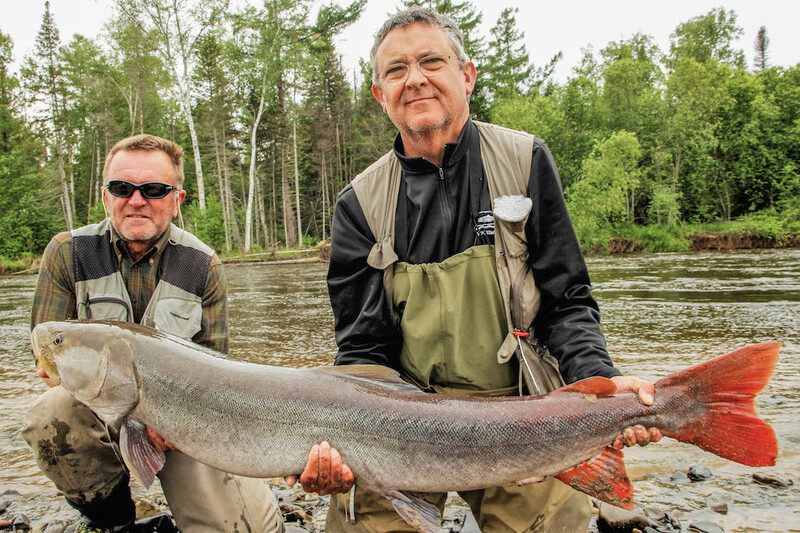 Join us on this adventure in 2016 and catch the fish of your lifetime! 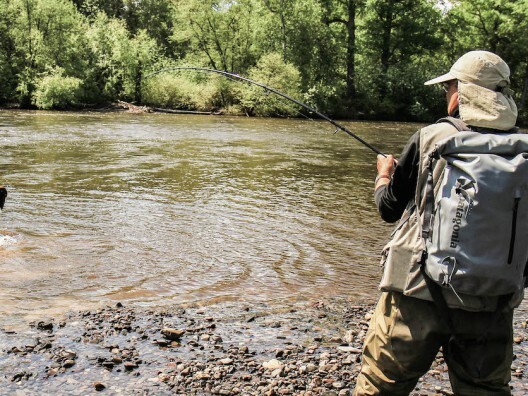 Included: 2 Hotel nights with breakfast in Khabarovsk, 7 nights at the river, all guided fishing transfers, all fishing licenses, Guiding, full info. 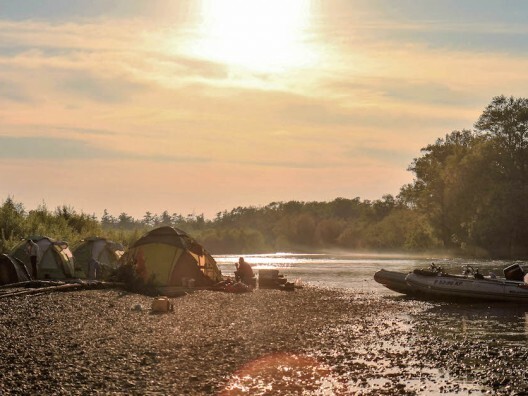 Not included: Airfare Europe-Khabarovsk-Europe (~€ 690, we will inform you), meals off the river, visa, insurances, costs of unexpected program changes, tips.